Do you want a unique mountain bike? With over ten years of experience building bikes and wheels from scratch, we can help you create your dream bike. We can help you choose each component carefully whether it’s a complete build or an upgrade to your current ride - Pimp Your Bike! Today we got our fifth ”Bike of The Day” at Vital MTB! This time it’s a custom built Cotic BFe275 hardtail with 26” wheels. This bike was built to handle it all! 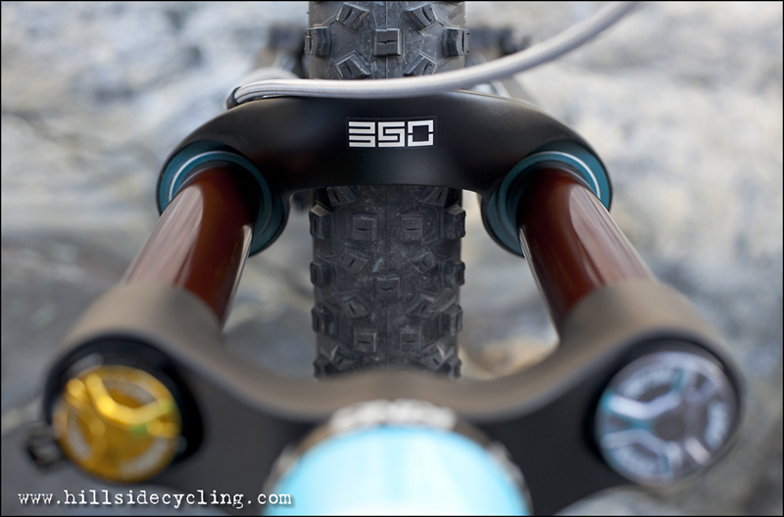 The BFe frame is one of the toughest steel hardtails on the market. Steel frames are something we really love. The feeling and comfort of steel is unbeatable. This All Mountain bike has a slack head angle of 66 degrees and a long Marzocchi 55 fork, making it a real bomber downhill. One of the reasons for selecting the 27.5” frame and use 26” wheels is to improve the climbing abilities with a little longer (428 mm) chainstays (the 26” BFe frame has 420 mm chainstays). The other reason is that 26” wheel and tires weigh less, which is never wrong in rotating weight. This makes the bike accelerate faster and also keeps the total bike weight lower. Check out the full bike details and more photos at Vital MTB Bike Check. 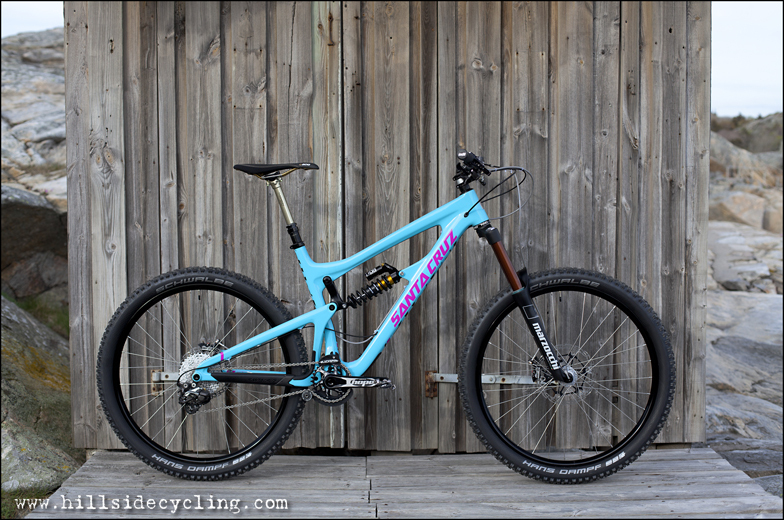 We have now completed the build of the new Santa Cruz Nomad and here's the result. 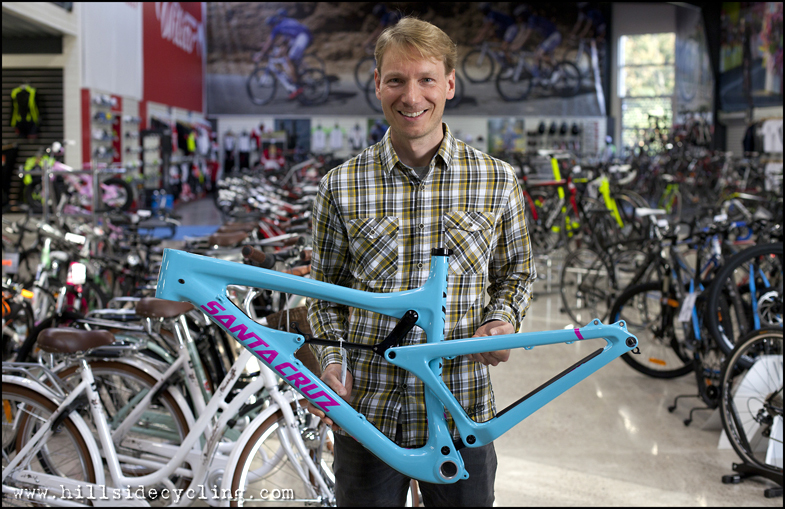 Half of the fun is choosing the best suited components for the bike and the right colors to match the frame. This is also the most time consuming part of the build. Many decisions have to be taken and compared with possible options. Sometimes the options requires custom solutions, as the modified Blackspire DER chainguide with a roller (instead of a slider) and the custom manufactured rear axle (without a large QR handle). 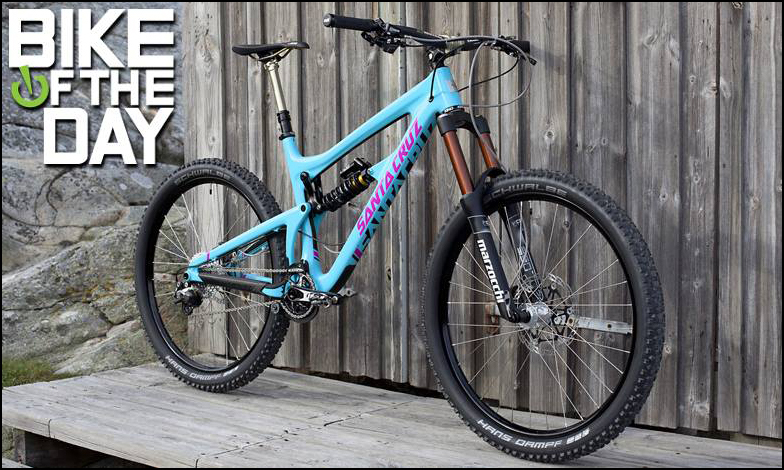 This bike was chosen as "Bike of the Day" 5th of May 2015 at Vital MTB. 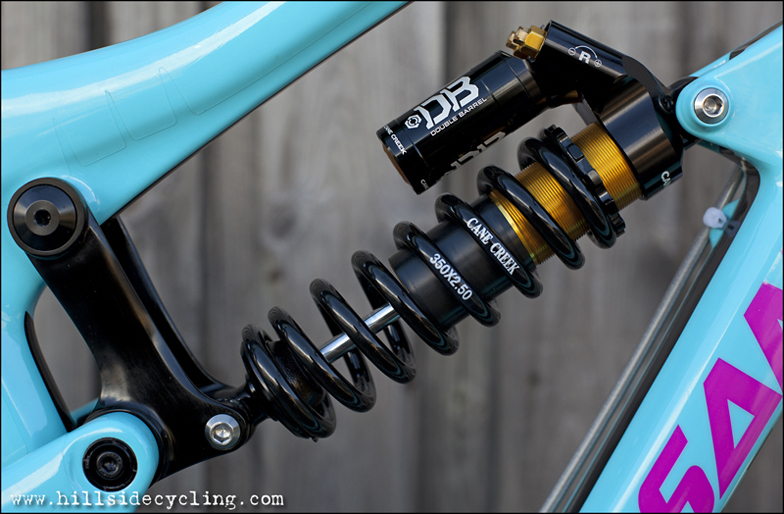 The full list of the parts can also be found at Vital MTB - Bike Check. The last thing thing we always do before the first ride, is photographing the bike. The stunning photos are taken by Natasja Jovic. Enjoy all the large and detailed photos at Picasaweb - Santa Cruz Nomad 2015 - Hillside Cycling Enduro Edition. The latest project is a 2015 Santa Cruz Nomad carbon, which we will be building this fall and winter. The Santa Cruz Nomad has 165 mm of rear travel and is the perfect choice for enduro and all mountain riding. The new 27.5" Nomad has been widely praised since it's release this past spring and is in high demand. This bike will replace Leo's old Santa Cruz Bullit, which will be retired after 12 years and about 35000 kilometers. Component choice is half of the fun when building a dream bike from scratch and during this fall and winter we'll reveal which tasty bits this frame will be equipped with. Our latest hardtail build is a Cotic Soul for use as a rental bike as part of our guided tour offerings. It was purpose built to excel at technical trail riding and be pleasing to the eye. Here’s a link to all the pictures, enjoy: Cotic Soul 2014 Picasaweb. 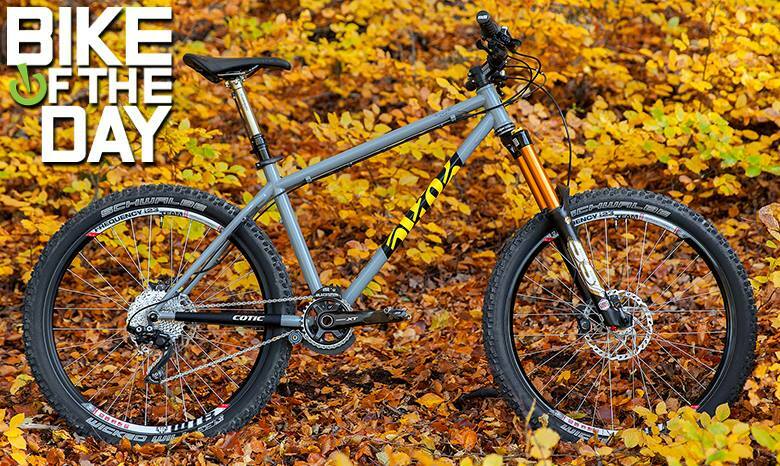 We think it turned out great and so does Vital MTB who named it "Bike of the Day" February 6th 2014! Below you’ll see a pair of our hand built All Mountain wheels that fulfill the following criteria: Light, strong, tubeless ready and convertible to all possible axle types. The components are from Hope, WTB and DT Swiss. Contact us if you’d like more info on a custom build.